Do you need a session guitarist? Then you're in luck. Antonello is available to do session work. 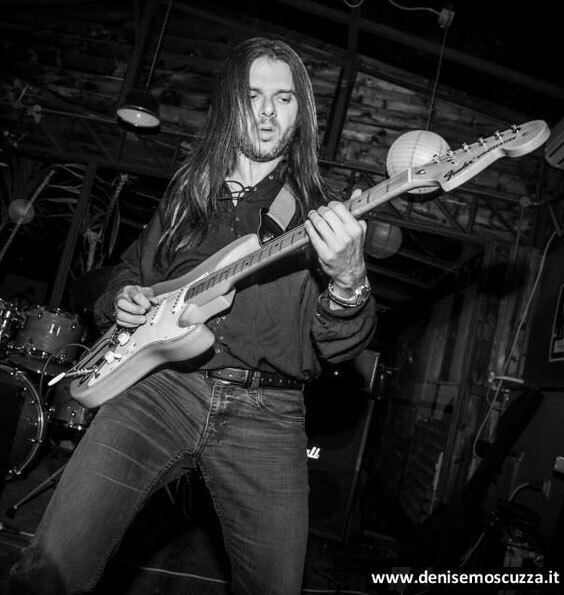 If you're looking for a guitarist to play on your album or track, then Antonello might just be the answer. He plays in a wide variety of genres. The only condition attached is that he needs to like the material. So just email sgrezzman@hotmail.it, and attach a demo, preferably as a link to a Soundcloud page or something of that kind. Prices will be negotiated according to how big the session is. Below you can find a couple of videos of Antonello playing, just so you get some kind of idea of some of the things he can do.